You guys may know this already, but in case you don't, I'm gonna tell you now, I love skincare, I frigging love it, you only get one face, look after it ladies!! Lately this face of mine has been screaming for more attention, I'm not sure if its the weather, hormones, tiredness or a bit of all three, but my skin has been looking a little lackluster. I have combination skin, always have but it seems to have even more of a contrast then usual recently, the oily bits are really oily and the dry bits or really dry. 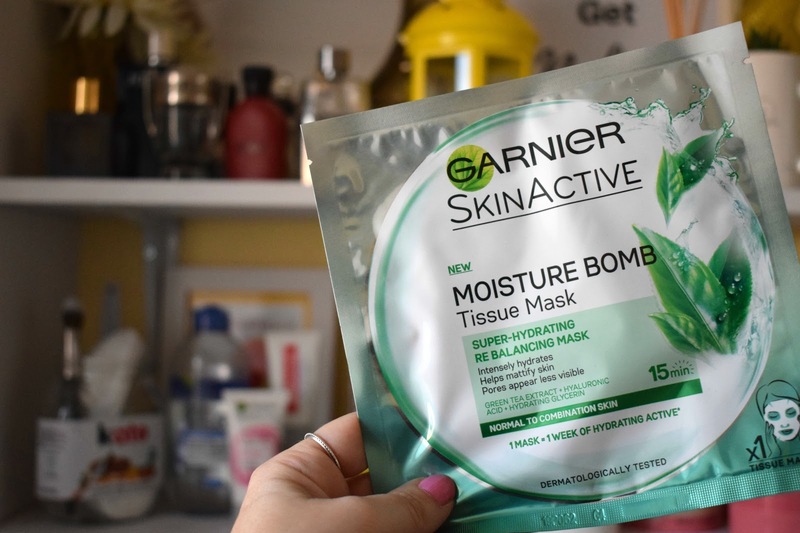 So you know what I had a little scout in Superdrug to look for a little pamper evening treat, and found this Garnier skinactive moisure bomb green tea tissue mask, which is marketed at us girls with combination skin. Now I'm probably gonna sound weird when I say this but, I'm not the biggest fan of tissue masks, because I have a "thing" about the wet feeling of them on my face. But I sucked it up, put my big girl pants on, and whacked it on my face, and you know what, it wasn't that bad. I mean I'll be honest I didn't love the feeling but I coped and once I got into reading my book, I soon forgot about it. The real magic happens when you take it off, it peels off easily, with no mess ( a definite plus for the tissue mask ) it does leave some residue but this can be just massaged into your face, as an extra bonus. This is when I was really impressed my skin felt glorious, really smooth, not greasy and the oily bits defo looked mattified, but the dry bits didn't go drier, in fact they felt a lot softer and certainly looked and felt smoother. 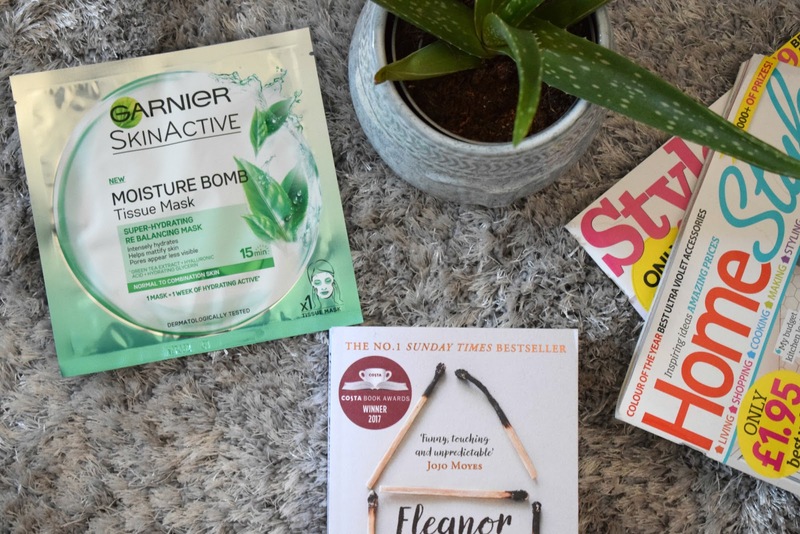 Overall I am really impressed with the Garnier skinactive moisture bomb tea tree tissue mask ( try saying that after a few drinks ) and will almost definitely be picking one up again.